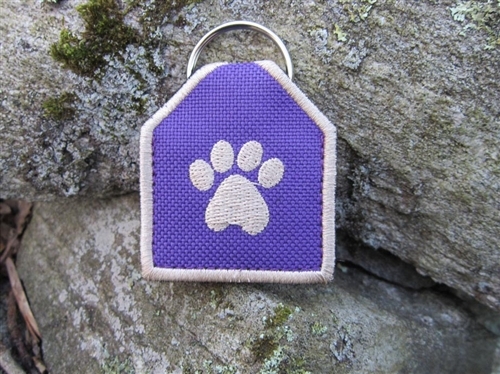 "Peace" Tags -- Silence your Pet's ID Tags with Style! 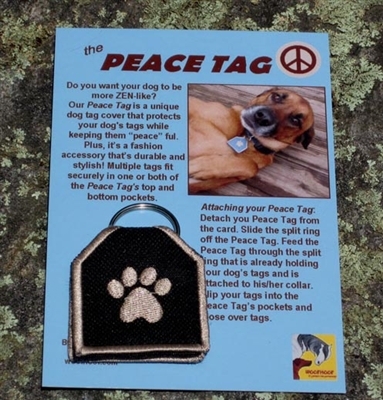 The Peace Tag is a unique dog tag cover that protects your dog's tags while keeping them silent (and “peace”ful). Reducing tag noise is very helpful for any dog owner who is bothered by noisy metal dog tags. Plus, it’s a fashion accessory that is both durable and stylish. Up to three dog tags fit securely in one or both of the Peace Tag's top and bottom pockets. Choose from five great colors: Black, Burgundy, Blue, and Hot Pink, and Purple. -- Detach your Peace Tag from the card. -- Slide the split ring off the Peace Tag. 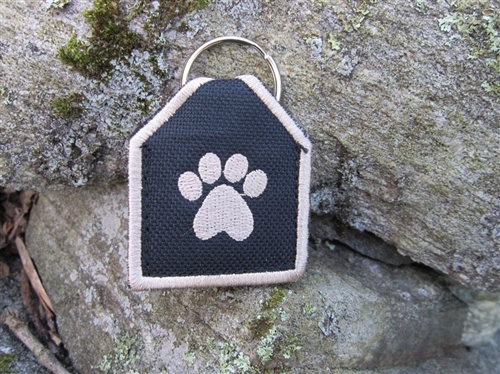 -- Feed the Peace Tag through the split ring that is already holding your dog’s tags and is attached to his/her collar. -- Slip your tags into the Peace Tag’s pockets and close over tags. 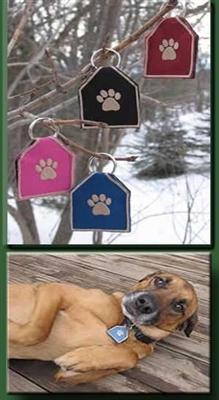 Click the button below to add the "Peace" Tags -- Pet ID Tag Covers -- Pink to your wish list.